As a Trusted Choice® independent insurance agency, we are able to research different auto, home, motorcycle, business, and umbrella carriers for you. By doing this we will find you the best coverage for the lowest premium. We specialize in auto, home, motorcycle, business, and umbrella insurance. We are committed to finding the correct personalized insurance plan for you. Would you like to save money on your Tucson Insurance? Many individuals are finding they can drive down the cost of car, home, auto, and life insurance—and the time it takes to select the right policy— by contacting an independent insurance agent or broker. Our professionals at Citizens Insurance Group of Tucson can assist you with your insurance needs. Why is an Independent Insurance Agent is better? When shopping for Tucson Insurance, most people are unaware that there are different kinds of agents they can work with. Choosing the right one can make a big difference in securing the best combination of price and value. As Tucson’s Trusted Choice® independent agency, we strive to help in any way we can to get you the best rates. Let us shop for you! We will find you the best coverage for the lowest premium. Citizens Insurance Group, LLC strives to obtain the most complete insurance coverage for your auto, home, motorcycle, business, and umbrella, while finding the lowest premium. 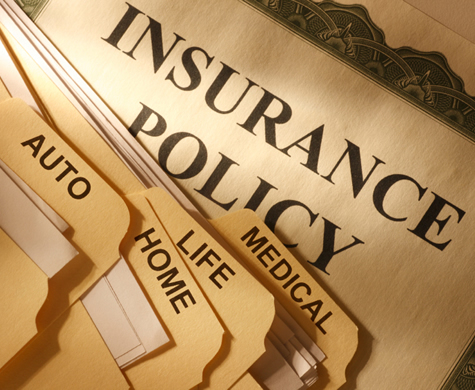 Citizens is a fully licensed and certified independent insurance agency, serving the state of Arizona. With offices located near the Foothills Mall in the northwest Tucson metro area, there is convenient access to meet with any of the fully licensed insurance agents in person. Thank you for the incredible service that you have provided me since my flood. I have never experience such personal and supportive help from any insurance agent. Not only have you been able to save me hundreds of dollars on the most comprehensive insurance coverage throughout the year, but you were there to take care of me in my time of need. We were getting tired of paying too much for our home, cabin, and auto insurance policies, so we went to Citizens Insurance Group to see what they could do for us. We were so amazed to find out that the new policies, which were with really good companies, saved us about $3,000 a year! We had multiple vehicles with teenaged sons, so the savings was incredible and we were sorry we didn’t switch sooner. It’s hard to believe how much different companies charge, and at Citizens they can shop for the best deal for you. Don’t go to an office that only sells only one company! I would recommend Citizens to anyone to see if they can save you money, too. And when we did have a claim they were really helpful and made sure the repairs were done right. Nice people. Citizens has been diligent to save us money by finding the best fit between insurance companies and products, and our family’s needs. Their service is prompt, accurate and honest. I recommend Citizens Group Insurance to anyone looking to optimize the cost-effectiveness of their insurance coverage.